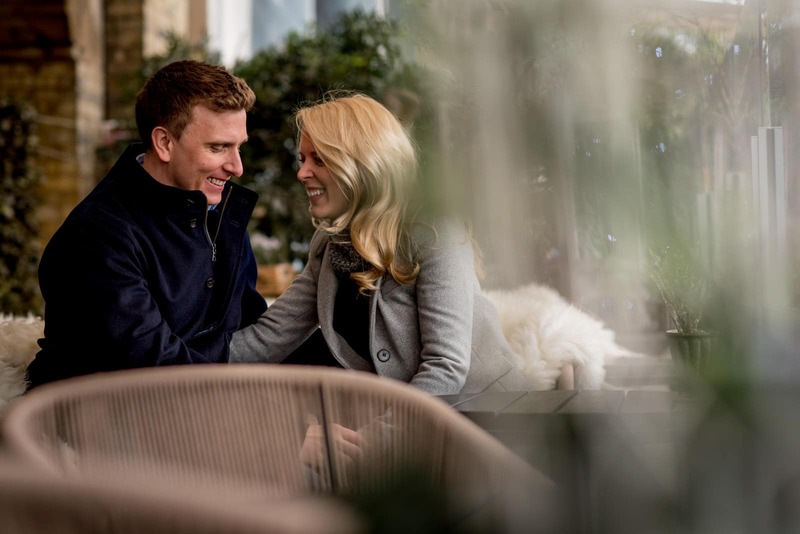 Drew and Cally’s Southbank Engagement photo shoot was extra fun for two reasons. 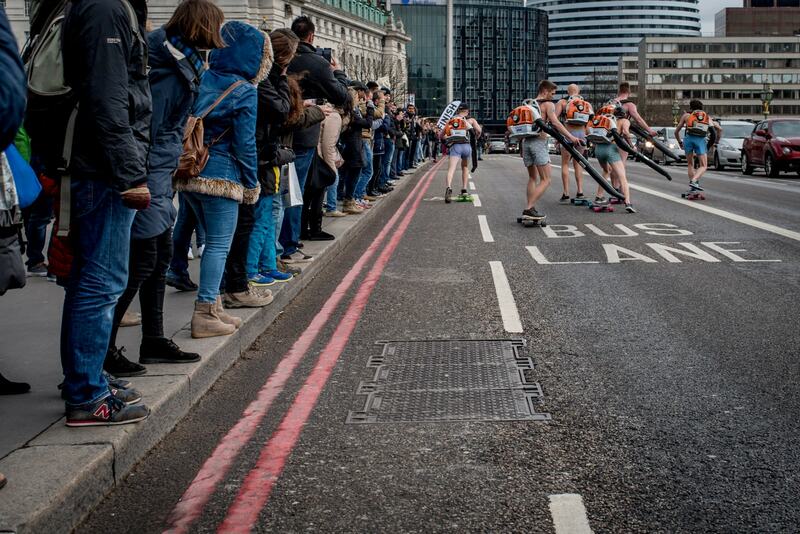 Firstly, we had an interesting run in with some semi-naked Swedish fellas on Skateboards with leaf blowers on Westminster Bridge…. (checkout the photos below if you don’t believe me). Secondly, (definitely more importantly) Drew had proposed to Cally earlier that very morning! The sense of excitement was written across both their faces (she did say yes btw). Hopefully you can see this for yourselves in the below photos. 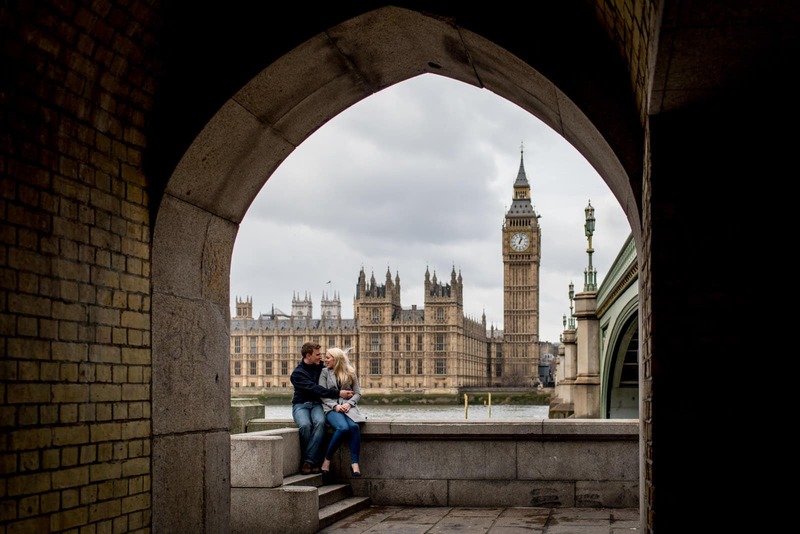 There’s two main reasons I enjoy London engagement photo shoots. I get to explore London (a city full of discovery) and I get to hangout with awesome people at a very exciting time in their lives. With Drew and Cally, the chance to photograph them a matter of hours after getting engaged was awesome! Plus they’re such a cool and lovely couple. 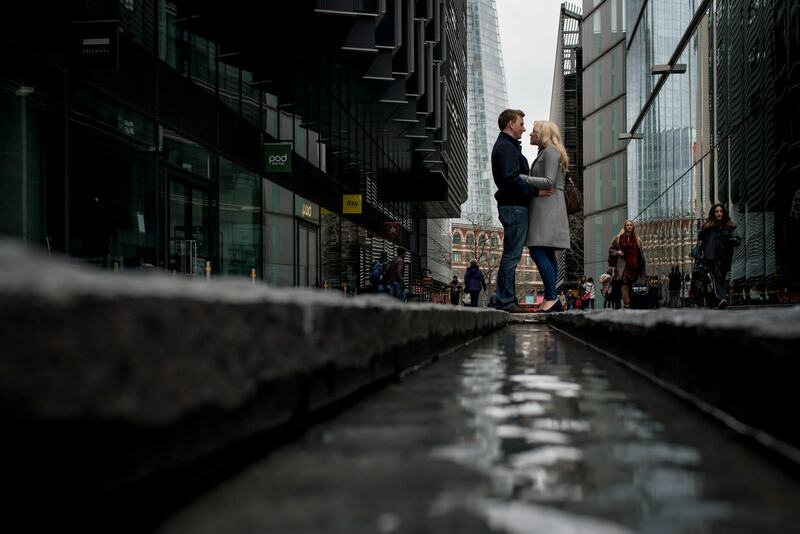 London’s Southbank is one of my favourite locations for engagement photo shoots. Within a short space you get to explore so many awesome iconic locations. From Tower Bridge to the Houses of Parliament, Westminster Bridge and the London Eye. 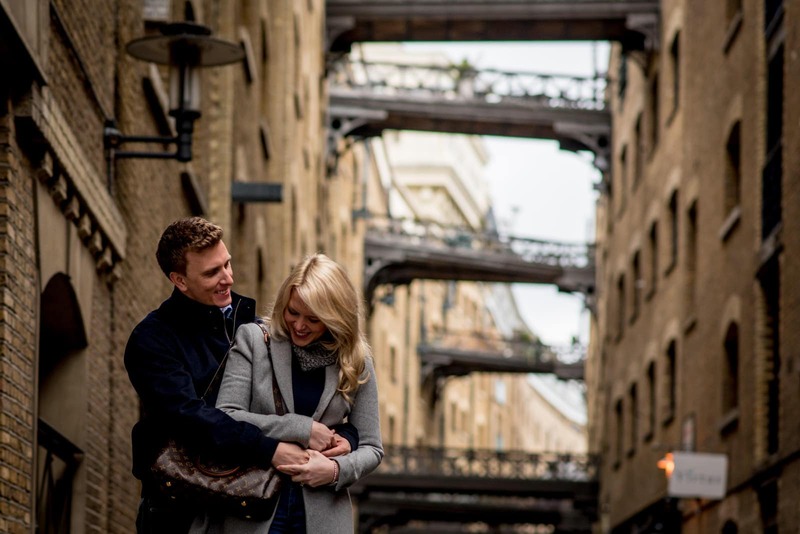 We also wondered along Shad Thames as it was a personal favourite of Drew and Cally’s. One of the best bits about the Southbank is that you never know what you’re going to run into. 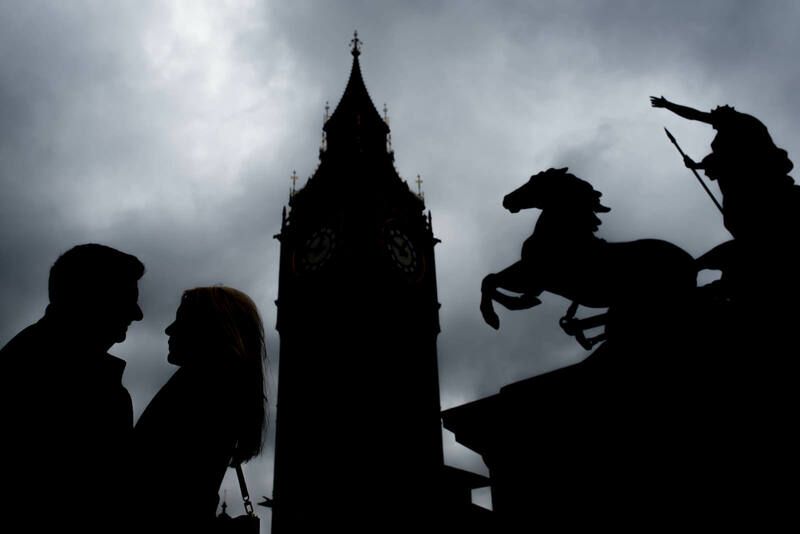 This was certainly highlighted on this shoot when we ran into an interesting unofficial ‘Sporting Event’ on Westminster Bridge. Oh and an exciting update. I’m ecstatic to be photographing Drew and Cally’s New York beach wedding this summer! 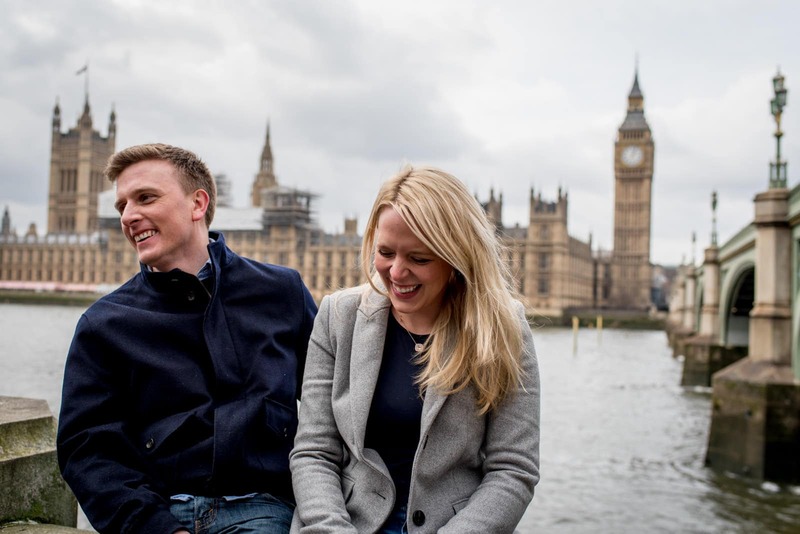 If you’d like to have an engagement photo shoot in London then please get in contact to check my availability. I’d also be happy to answer any questions you might have. Loved our photos! I’ve framed so many of them! Even more excited for our wedding photos now! Ah thank Cally! That’s amazing to hear. I can’t either. Going to be so awesome!